An exciting addition to our 2015 Research Symposium will be keynote speaker Randy Schekman, PhD, the 2013 Nobel Prize Winner in Physiology or Medicine. Dr. Schekman will present "Unconventional Secretion of Proteins and RNA from Cultured Human Cells" at 2:15 p.m., March 25, in KCU's Academic Center. Dr. Schekman will also present "The Importance of Basic Research and How It Impacts Science" during a reception for Kansas City's research community from 5:30 to 7:30 p.m., March 24, at the Kauffman Foundation Conference Center. Online registration is available for the reception, which is being co-hosted by the Kansas City Area Life Sciences Institute. 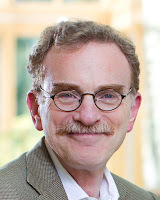 Dr. Schekman is a cell biologist at the University of California, Berkeley, and a Howard Hughes Medical Institute Investigator (learn more).